First we must understand what native advertising is and what it is not, as well as, metrics of success. Then we look at examples of native advertising being used to create brand value today for inspiration. Native advertising is “pay to play.” In content marketing, you own the media. It’s your asset. In native advertising, you are paying someone else to distribute and ultimately own your content. Native advertisements are in the same format as the content that audiences are there to consume, providing a much less disruptive advertising experience. It is usually content based. The information is useful, interesting, and highly targeted to the specific readership. The information is…positioned as valuable, or similar to the value of the “real” content on the publisher’s site…so that users engage with the content at a higher rate than, say, a banner ad. This is good for advertisers, and if the content is truly useful, good for consumers . To truly be a native ad, the user experience is not disrupted. The advertising is delivered in a way that does not impede the normal behavior of the user in that particular channel. The brand that buys the native advertising placement wants its content to look as similar as possible to the site’s content. It is about finding storylines or plotlines that aren’t inherent selling points, but that readers will connect with, to build content around. A native ad is an ad that fits in with the existing user experience, and is available for advertisers to purchase at scale. It has similar (if not identical) attributes of the content that surrounds it, and it is clearly marked as “promoted” or “sponsored” to make sure there is 100% transparency. As you develop your content marketing program, you’ll get to a portion of the content marketing framework called audience. Simply put, you may not have enough audience to drive your content program. Native advertising is a great way to (legally) steal audience and work to drive it to your owned content marketing platform. Native ads are in the flow of editorial content and feed an audiences’ need. It’s much easier to drop your message into a stream which people are reading anyway….whether the Facebook News Feed or the magazine-style format of Flipboard…than it is to try to persuade those people to stop what they’re doing elsewhere and read your message instead. The difference between sponsored content and native ads…is that “native content tends to aspire more to going viral” and generally being shared more. Native advertising is paid content that matches a publication’s editorial standards while meeting the audience’s expectations. Good native ads are content that’s about the reader, watcher, or listener. But ultimately there’s an actionable goal for the advertiser, like opt-in to get a free report. Native advertising should be easily skippable by the user. If a native ad serves as a roadblock to hide content or takes over content (by way of overexposure for example), then it kills the nature of native advertising which should not “replace” or overtake the space normally created for consumption in the service. Native ads on mobile should leverage the capacities of the app it is hosted by, but also of the device and the operating system, for example, native ads should run smoothly, not make the app crash, respecting night modes, idle times, gestures, etc. In order to be truly native it has to be an integral part of the app experience. Ads on mobile that are triggered by user actions are also considered native, e.g., sponsored rewards for user achievements or unlocking brand content after reaching a milestone. Is It or Is It Not Native Advertising? Brand-sponsored content on sites like Facebook, Twitter, Reddit, Tumblr and BuzzFeed, Google AdWords paid search ads, recommended Outbrain and Disqus content pieces, promoted items in Amazon, app installs, branded Vine videos, etc., technically fail the definition of native advertising because these sites are not publishers; they do not have a conventional editorial branch to speak of. However, some people argue that since branded content appears “in-stream,” in a user’s feed and resemble other feed items, that they can be considered native ads. 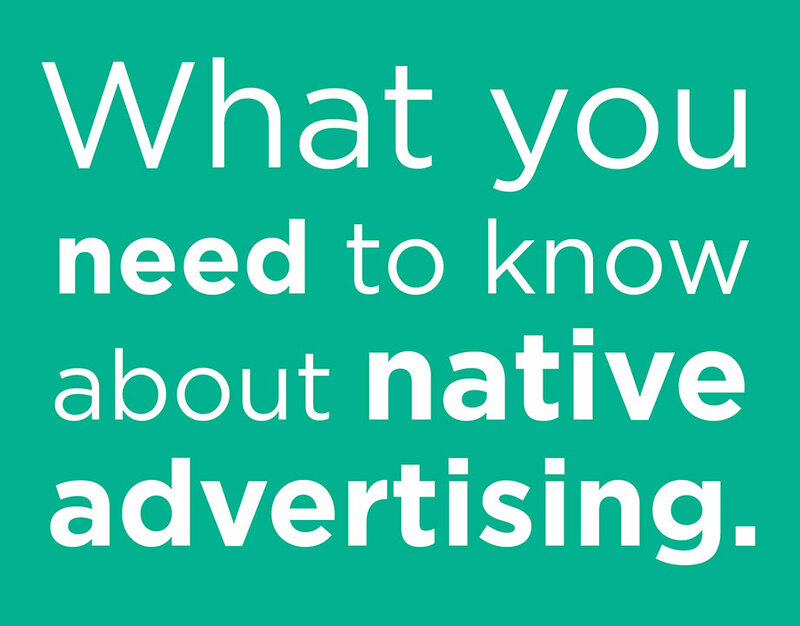 What Is NOT Native Advertising? It’s not an advertisement promoting the company’s product or service directly. If a brand or individual did not pay for the spot, it’s not native advertising. If you’re not paying a publisher for the privilege of expressing your own opinion…you’re just “blogging”. Guest posting is not native advertising, it is non-paid content that drives traffic to the content on your domain. The problem with native advertising is that it’s hard to scale, by definition the more specific it is to that site the less it can be used elsewhere meaningfully, so we tend to get problems with getting scale and relevance at the same time. So remember, if the ad could run in a million other places it’s probably not native. How To Measure the ROI of Native Ads? The metrics that are specific to native advertising are not very different from other traditional metrics although they may stop at different levels, based on the type of format used. For example, in the case of a sponsored trending topics, the advertiser will look more at the amplification of a message vs. the immediate sales ROI. There are some additional considerations in the mobile space, where most of the content is consumed via native apps. Here advertisers will look at App Install Rate and Life Time Value. For brand-created content that is automatically distributed in native formats, the important metrics are similar to normal ad networks: CPM (cost per thousand impressions), CPC (cost per click) and, if it is a video, CPE (cost per engagement). For publisher-created content that lives on the publisher’s website, the most important metric is the number of reads or video watches of the piece of content. Stemming down from that would be social shares, percent increase in branded search during the campaign (if the campaign is large enough and controlled for), click throughs / CTR, number of comments / comment sentiment, and if it is a giveaway or there is a clear call to action, response rate for those. Engagement metrics include time on site, number of pages visited, percentage of visitors that are new, where people click/scroll mouse, etc. What are Examples of Native Ads Being Done Today? Marie Claire has released its first native cover for April 2015, sponsored by Stuart Weitzman shoes and bags company, which is being sent to 877,000 subscribers or roughly 87% of its print magazine readership. It has the tagline, “Presented by Stuart Weitzman,” on the cover. The remaining 13% purchased at newsstand will see Kerry Washington’s face, an American actress, without the ad cover. The issue begins a month long “Shoes First” program that includes a Twitter chat with creative director Nina Garcia and Michael Kors, another shoes and bags company, a shopping event at Lord & Taylor hosted by Garcia on April 9, a shoe-centric guide with Simon Property Group, which owns shopping malls, as well as, a campaign with Nordstrom featuring a calendar of the most-sought after shoe styles and chance to win a $250 gift card. One native ad recently became quite controversial in its use of Tinder to promote the sci-fi movie Ex Machina. Men attending SXSW in Austin found themselves “matched” with an attractive 25-year-old woman named Ava, who was in fact the lead actress acting as a bot on both Tinder and in the movie. The men had a brief conversation with her via text message, before being directed to an Instagram page with a photo and video promoting Ex Machina. Many people felt that it crossed the line into creepiness and taking advantage of people’s emotions. 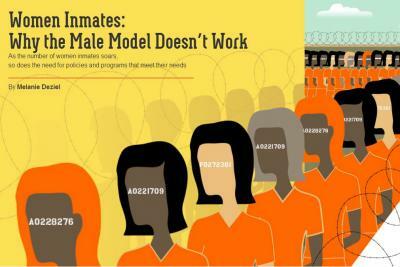 A nearly 1,500-word native ad for Netflix‘s original series, “Orange is the New Black,” entitled “Women Inmates: Why The Male Model Doesn’t Work” appeared on The New York Times website in June 2014. It used video, charts and audio to supplement text about female incarceration in the U.S.
Another Netflix native ad appeared on Wired in May 2014 called “TV Got Better,” which featured discussion on how streaming video is fueling TV’s current golden age, and included text, a video interview with “Arrested Development” co-creator Mitch Hurwitz (whose show got a new life on Netflix), a timeline of TV’s milestones, an audio recording of the author, Grant McCracken, an anthropologist known for his books about convergence culture, a reader poll, a multimedia element shows how many hours of TV people have watched since opening the story, and more. Netflix had worked with Mr. McCracken on a study previously that sought to understood the habits of TV watchers, and tapped him for the piece. Have you seen any other spectacular native ads that you would like to share? Please tell us in the comments below! Our Online Advertising Expert has developed native ads in partnership with BuzzFeed, WebMD, BabyCenter, IGN, and many more. Contact us to talk about how we can help. The Guardian’s What is native advertising anyway? AdAge’s Did Wired Just Create the ‘Snow Fall’ of Native Advertising for Netflix?